Definition from Wikipedia “Synesthesia: a perceptual phenomenon in which stimulation of one sense leads to experiences in a second sense”. Our work Liquid Rainbow Synesthesia is a novel audio visualization technique utilizing adversarial texture generation. It combines original music by Michaela Catranis (“Liquid Rainbow: Diluvian”, a part of a large composition about water) with a novel method for neural data-driven visualization, by Nikolay Jetchev. The video uses a deep GAN model (based on PSGAN) to generate textures smoothly morphing in time, carefully tuned to the music. 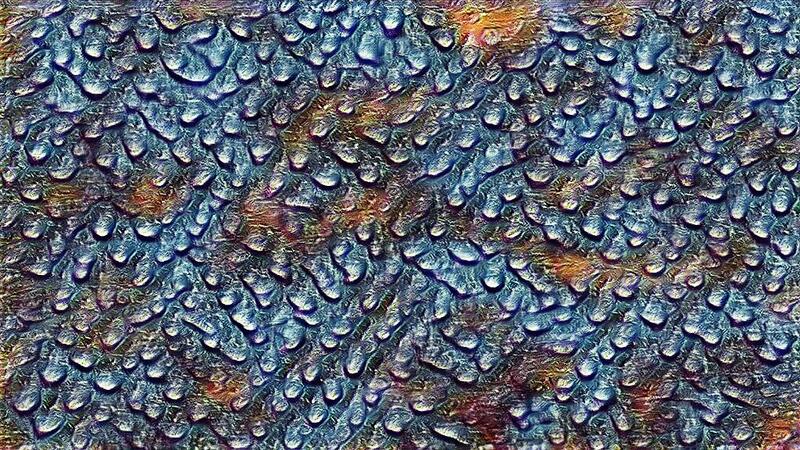 Selecting input images with a suitable theme (water) for training the GAN allows to emphasize the artists vision and represents a novel form of digital synesthesia. A key technical novelty of the method is the use of an audio descriptor of the music instead of a noise prior for the GAN.